We are covering Apologia’s Swimming Creatures of the Fifth Day this year. Currently, we are studying whales. The timing has been just about perfect to fall in line with a couple of field trips for us. We were able to attend the homeschool day at Sea World San Antonio last week and just returned from a few days in Port Aransas, with some time spent at the beach and a visit to the Texas State Aquarium. Since whales of all types are currently not only the topic of study but the favorite animals, we had fun doing some prep work before going on the field trips. We read the chapter in the book and did the journal work and Try This! activities. In addition to that we did some other things that turned out to be terrifically fun! Hodgepodge has a fantastic series of art tutorials that she provides. 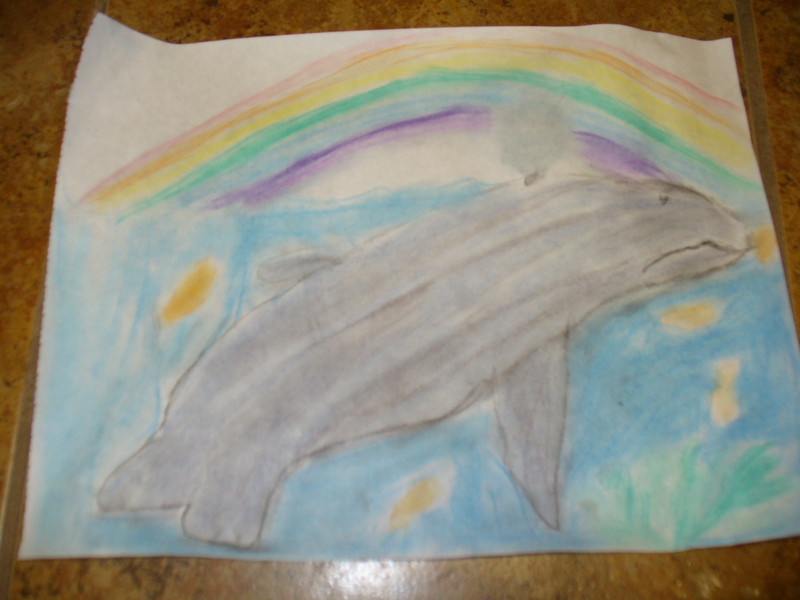 One is for a dolphin or porpoise done in chalk pastels. The girls love to draw so, of course, this was one we had to do. We already knew the basics of the whales (of which a dolphin is a member), such as what the fins are called and where they are located, etc. So, we used this tutorial to create these works of art. This was our very first attempt at using chalk pastels so I am pretty pleased with how they came out. Considering. Sea World has some good activities on their website for teachers. One of these addresses the disruptive coloration of the animals (i.e. camoflauge) and how it helps or hurts them in the water and on the ice. We used their printable and made the pictures as directed. That gave us a really good discussion on the coloration because the girls couldn’t see some of the animals they were creating until they were pointed out. 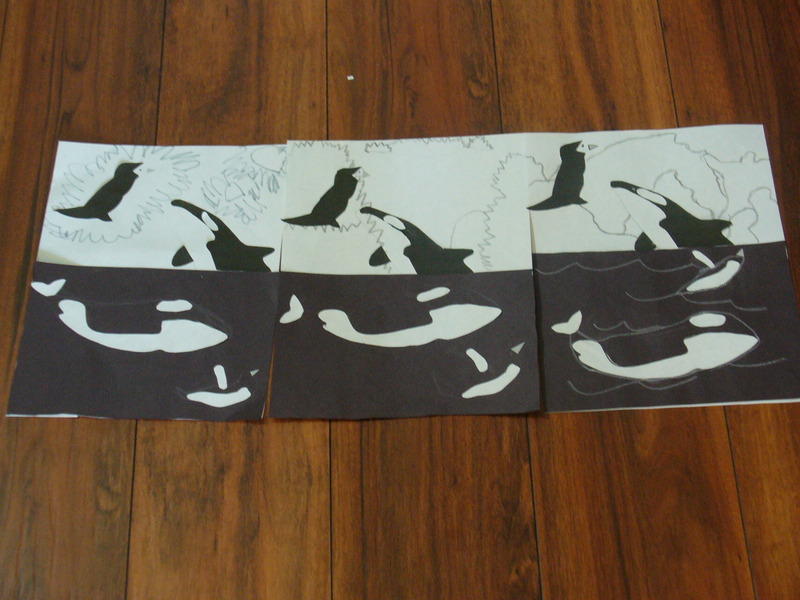 Here are the pictures the girls made of orcas and penguins. 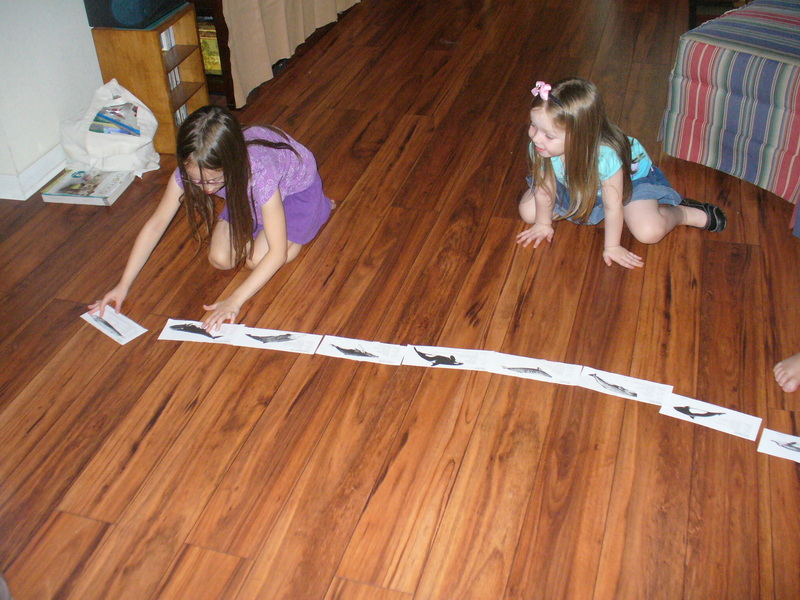 Another activity that we got part of from the Sea World website was comparing the sizes of different whales. We printed off their whale information cards. 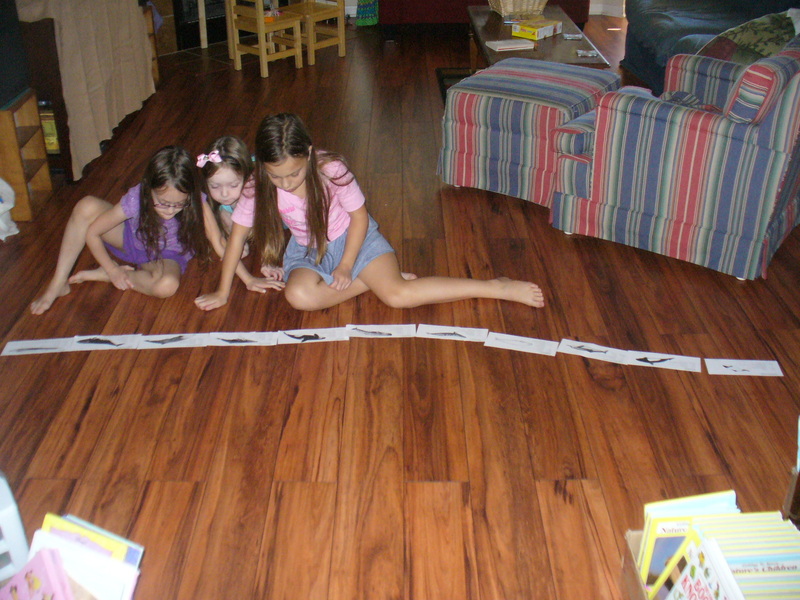 L, age 7, then read the information and put them in order from shortest to longest. E, age 9, then came in, reread the information and checked to make sure the cards were in the correct order, rearranging where necessary. 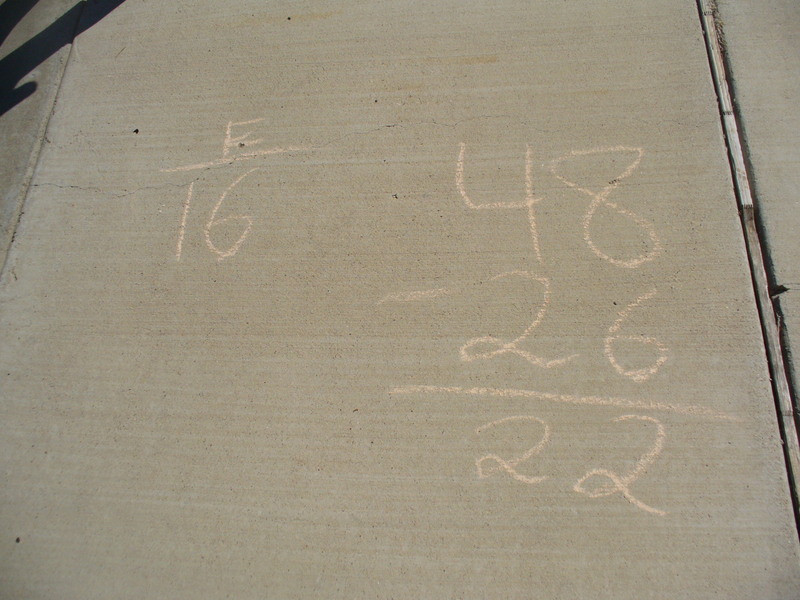 After they were in the correct order, we took them outside with some chalk and a LONG measuring tape (100 ft). 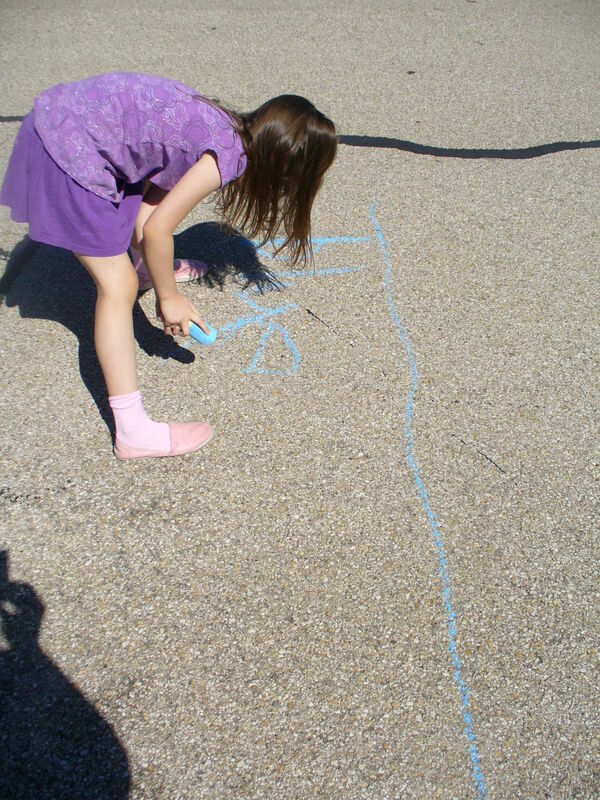 We picked a start line on the road and started measuring. 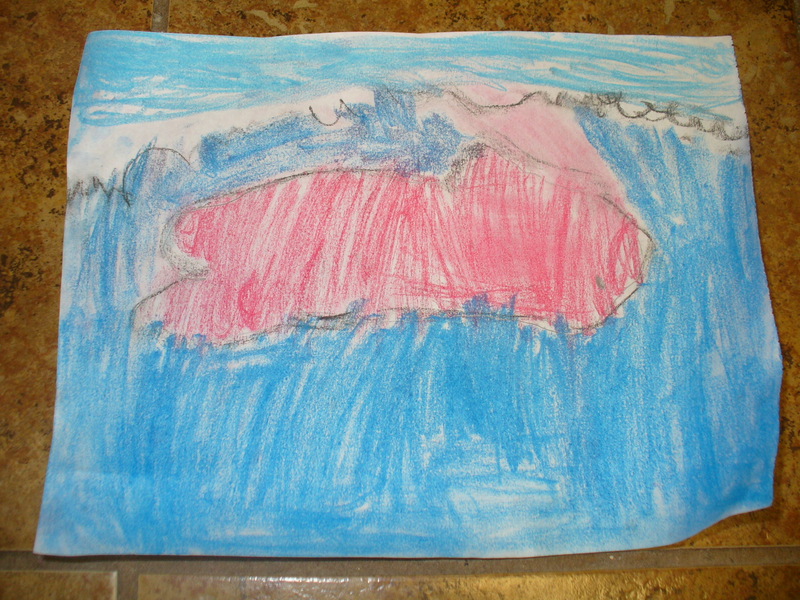 For each whale, we measured it out, drew a line, and labeled the type of whale it was. We did this all the way up to the blue whale, at 112 feet. How big is the blue whale? This big! 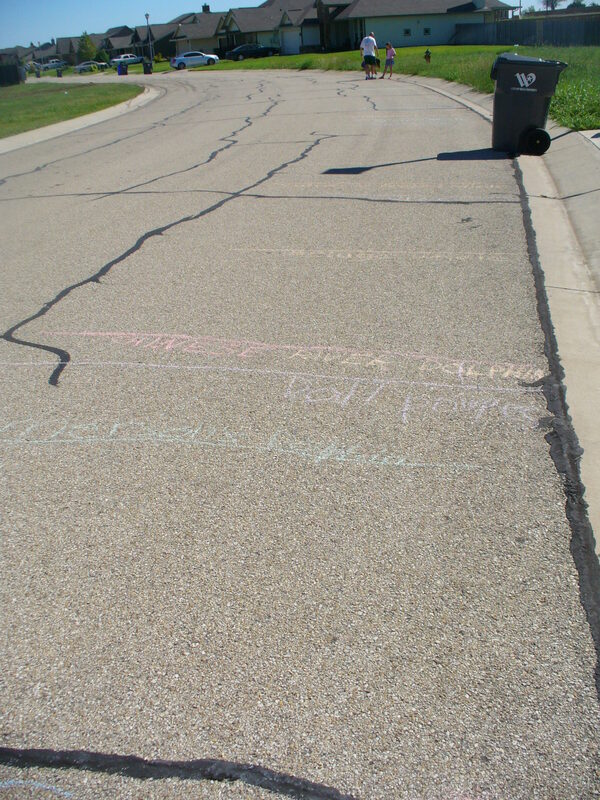 Another activity that we did was to play a bit with what echolocation might be like. 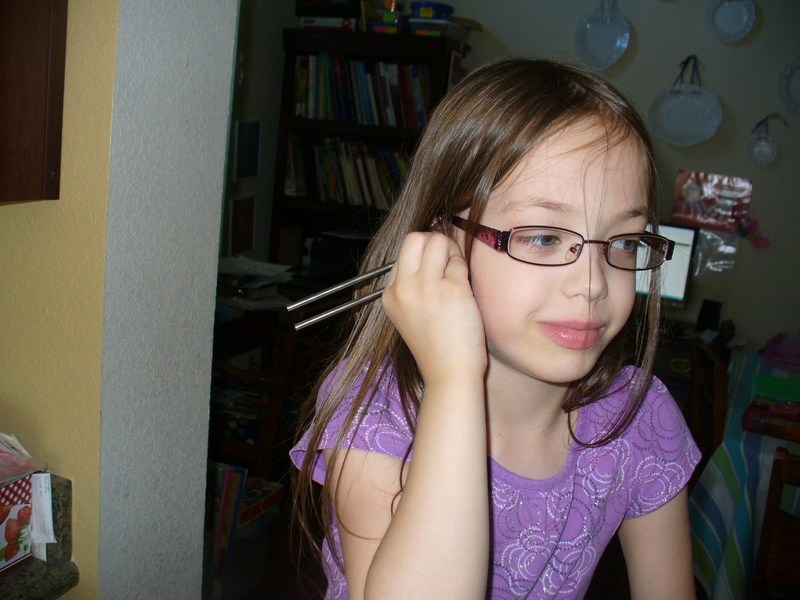 So, we got out the tuning fork. It was very interesting to the girls and they had a lot of fun playing with it. 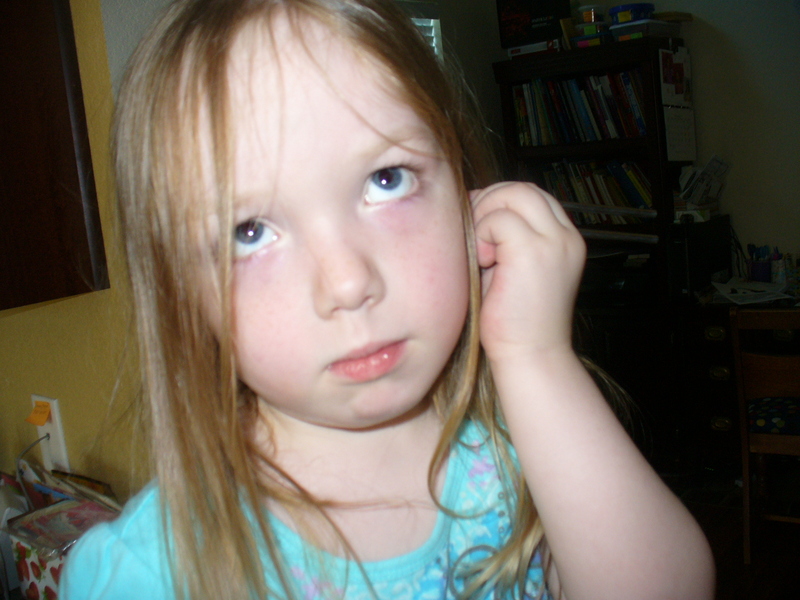 We talked about how it worked, what affected sound, etc. 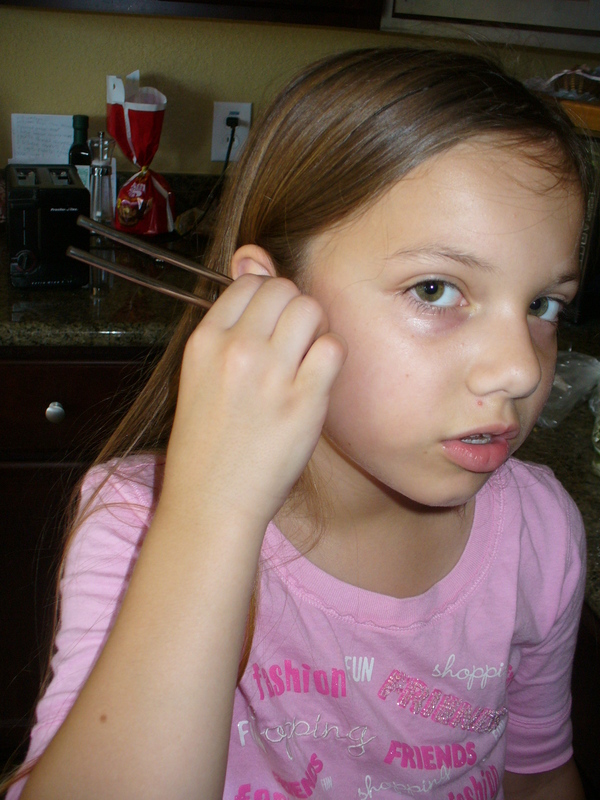 I know they understood quite a bit about it because during the visit to Sea World and one of the presentations, one girl commented about how she knew about that because of the tuning fork and the experiment with echolocation that we did. The preparation was definitely fun and helped the girls get ready for the trips. There was so much to see and do and learn. Part 2 will be a bit about the actual experiences the girls got to have during the field trips and the extension of their learning that happened during the trips. I hope you check back in for Part 2. At Home. Very nice — fun and learning! What fun! 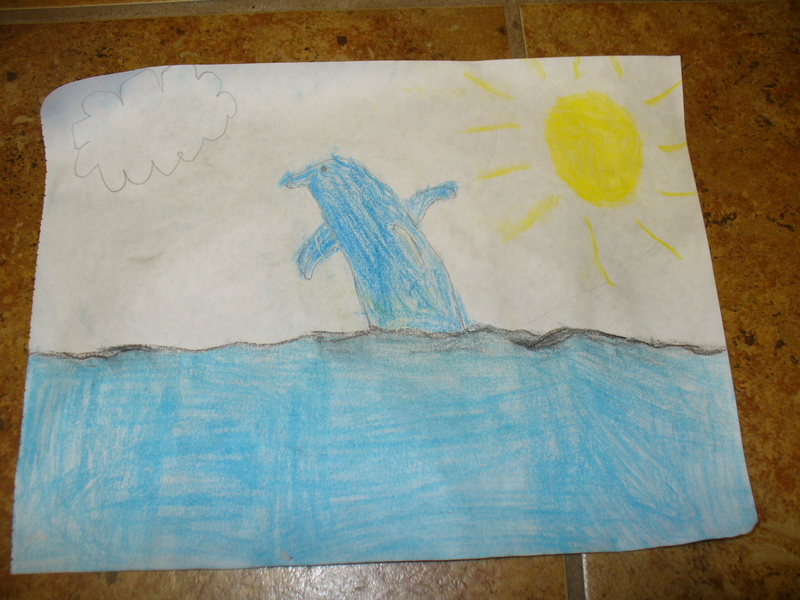 and ‘mapping out’ that whale sure shows how huge that majestic creature is. 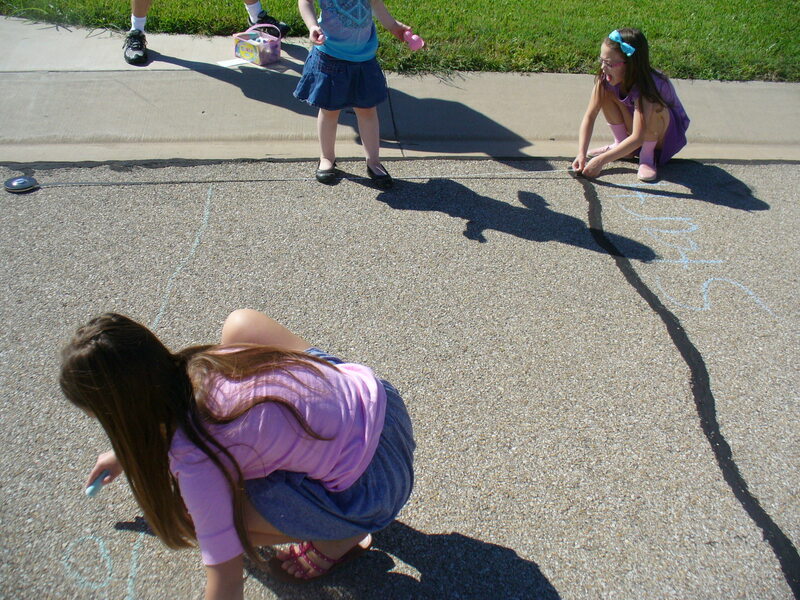 Love your chalk pastels – thank you for sharing. I am pinning to our Art Tutorials Showcase board on Pinterest.